Jon Stewart jokes around a lot on "The Daily Show," but some subjects like voting are even too serious to kid about for Stewart. Appearing on CNN with Christiane Amanpour to talk about Tuesday's midterm elections, Stewart was asked if he voted. The late night host responded "no" saying, "I just moved. I don't know even where my thing is now." To some watching, it appeared as if Stewart was serious. 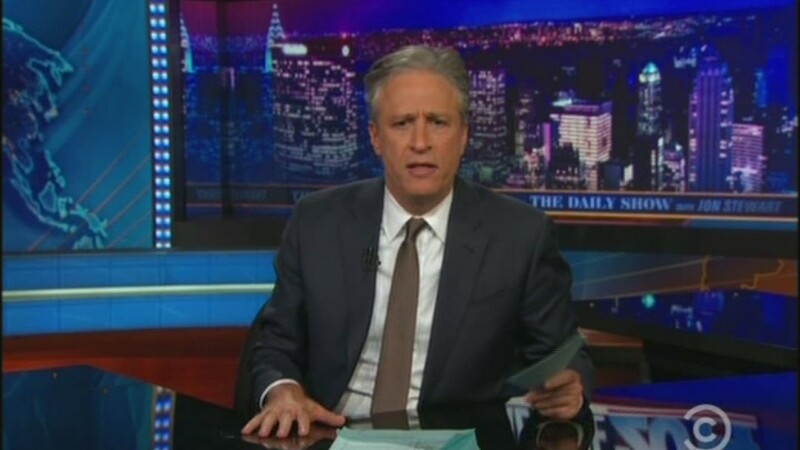 However, hours later while broadcasting a special live election night edition of his usually taped "Daily Show," Stewart took a moment during the opening of the show to seriously address what he said, and apologize for the miscommunication. "First of all, I've known where my thing is since I was thirteen," Stewart said to his laughing audience. "But to set the record straight, I did vote today... I was being flip, and it kind of took off, and you know what, I want to apologize." Related: What's next for Jon Stewart? Stewart continued by saying that he should have been clearer that he was kidding because it made it seem like he didn't think voting was a big issue. "It sent a message that that I didn't think voting was important," Stewart added. "I shouldn't have done that. That was stupid." The host then wrapped up the serious opening by going into the results from the midterms, which he felt was a "bloodbath" for the Democrats. "Man, I'll tell you something, I don't know if you watch 'Game of Thrones,' it is a Red Wedding out there," Stewart said.